Call us today to schedule your free color consultation. Together, we will ensure the colors you choose are exactly what you want and need. At Pristine Decors Inc. we warranty both our workmanship and the products we use for a full year. Click here for details. "I can't say anything but wonderful things. They are efficient, on time and do excellent work. John came out the same weekend I requested a quote. I hired him on the spot!! He came a few days (to start and complete the task) later and he was on time and finished in less time then originally stated!! He is friendly and personable and took care of our personal items. Thank you John and look forward to working with you in the future!!!" ​"We have used Jon several times to paint our condo and our home. He has always been extremely prompt, polite and incredibly neat. Jon is trustworthy and is absolutely our "go-to" guy when it comes to painting. I thought my husband and I always did an okay job painting, but then when we saw a professional paint over our jobs...we were amazed. It should also be noted that Jon knows what color works best with certain areas. He advised us correctly with the color of our condo and with the color for our basement (in the house). If that doesn't say enough, the price he charged for all the jobs was very fair. If you need something painted, call Jon. You will not be disappointed." ​"Jon and his crew painted in our condo and it was done to perfection. Our board also hired him on a few other occasions to do common areas such as stairwells and doors…flawless work. I know of a few other condo owners in our building that also hired him and were very satisfied. This is the third property my wife and I have owned, only wish we would have found him 15 yrs ago." Click To Read More 5-star reviews! ​Why We're the Right Choice! With decades of experience and thousands of homes, condos and apartments painted across the greater Chicago area, you can feel confident you’re hiring the best interior house painters in the business. We use only the highest quality products and equipment and adhere to industry best practices to offer you the best service possible. ​We arrive on time daily, finish the job in the time frame specified, and remain on budget with no surprise fees at completion. You Want Your Home to Look Beautiful, So Do We! At Pristine Decors Inc. we understand you want your home to look beautiful. With over 35 years experience painting, when we do a job it gets done right. ﻿﻿Whethe﻿r﻿ it’s room paint, bedroom paint, wall paint, hallway paint, or general home painting that you need, we guarantee you’ll love the quality of the services we provide. We take great pride in the workmanship and products we offer. We are fully licensed and insured, and have built our reputation on providing top quality painting services at prices often at or below that of the competition. We use the best products available, adhere to industry best standards, and always focus on making sure you’re completely satisfied. We strive to create beautiful work that will remain something you can enjoy for many years to come. After you contact us your head painter will reach out, introduce himself and arr﻿ange a time to come to your home or office for your free personalized, detailed and accurate estimate for the work you would like to have done. Upon starting, we show up on time and work the entire day, returning each day until your project completed. While in your home we are courteous and respectful and make every attempt to not interfere with your day to day activities. All areas to be painted are prepped properly, and all surrounding areas are kept clean with trash removed daily. We know you have plenty of choices of painting companies and painting contractors in the Chicago area, and as such we greatly appreciate you choosing us. Your satisfaction is our top concern and we want you to feel confident in us meeting or exceeding your expectations. We stand behind our work 100% with a one-year warranty on our workmanship and the products we use. 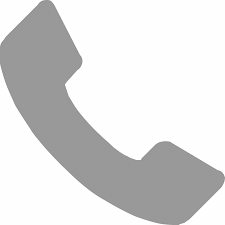 From the beginning you will have your head painter’s phone number and can reach out at any time with any questions or concerns you may have during the process. Following completion we leave our work area cleaned to perfection with no noticeable signs we had been there other than beautifully painted surfaces. Over the many years as a leading interior painting company in the Chicago area we have completed a seemingly infinite number of residential and commercial interior painting jobs. In that time we have come to understand that value and consistency are paramount to the long-term success of a Chicago painter. We aim to leave all of our clients 100% satisfied, and to do that we know we must be highly professional, do top quality work, and offer that work at a very fair price…and this is exactly what we do! In your search for house painting estimates, house painting cost, or house painters hourly rate, you’ll find there are plenty of Chicago house painters to choose from. Doing a simple online search for “house painters near me,” “House Painting Chicago” or “painters Chicago” will yield no shortage of results, but it’s important you do your due diligence before hiring one. One of the first things to inquire about is how long that particular residential painting contractor or painting company has been in business? In our case, Pristine Decors Inc. was established in 2001, however our owner, Jon Fuchs, has been a full-time professional Chicago-based painter since 1983. Another question to ask of any Chicago painters or house painting contractors you’re considering hiring is whether or not they use subcontractors? This is important because if they are “subbing” out your job to another painting contractor you may be getting lower quality work than is being advertised. This is often the case when the price, estimate, cost, hourly rate, etc., is substantially lower than that of other reputable, professional house painters. You should also check to see if the house painters you’re considering are licensed and insured and if they offer a warranty. As for us, Pristine Decors Inc. is both licensed and insured and we offer a one-year warranty. Another thing to look at that can give you a quick idea of the quality of work that a particular painting company offers is their gallery or portfolio to see samples of their work. Sometimes painting companies will use all stock photos, which are purchased and are not their actual work photos, which can give you a false idea of the quality of work they are capable of producing. As do many websites we use some stock photos, however the vast majority of photos on our site are actual photos taken from our own projects. A final bit of due diligence when considering exterior or interior painters would be to look at their reviews. Reviews give an excellent idea of the quality of work that various painters in Chicago provide. And don’t rely solely on the reviews on their website, be sure to check out their profile on sites like Google+, Yelp, Thumbtack, and Angie’s List, as these sites typically have a higher percentage of unbiased house painting reviews. RelatedAs a well-established, local painting company we have always strived to provide the highest quality painting services near me. We are located in the North Center neighborhood on Chicago’s North Side at 4346 N Winchester Ave Chicago, IL 60613, and we service the city of Chicago as well as much of the greater Chicago area. North Center is located in the middle of the North Side between the Lake View, Roscoe Village, Lincoln Park, Logan Square, Avondale, Irving Park, Albany Park, Lincoln Square, Ravenswood, and Uptown neighborhoods. After painting thousands of properties across the greater Chicago area we understand exactly what it means to be professional...you can feel confident we’re the right company for the job. Furthermore, the quality of the paint and the painting technique must also be at the highest level, and we use only top notch products and equipment and adhere to industry best practices to offer you the best service possible. Finally, we understand you don’t like surprises when it comes to things like time frame and budget, so we arrive on time every day, finish the job in the time frame agreed upon, and remain on budget. 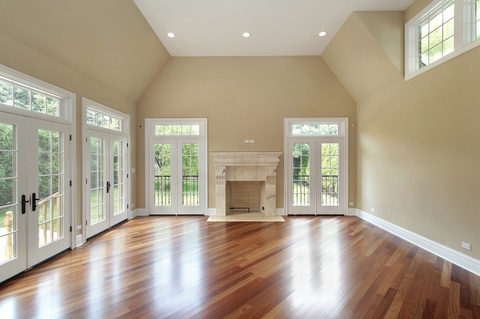 We realize you have many options for painting contractors in Chicago. Our goal at Pristine Decors Inc. is to exceed your expectations, as we are 100% committed to providing our customers with the best experience possible. We want to be your “go-to” painting company and look forward to hearing from you today!